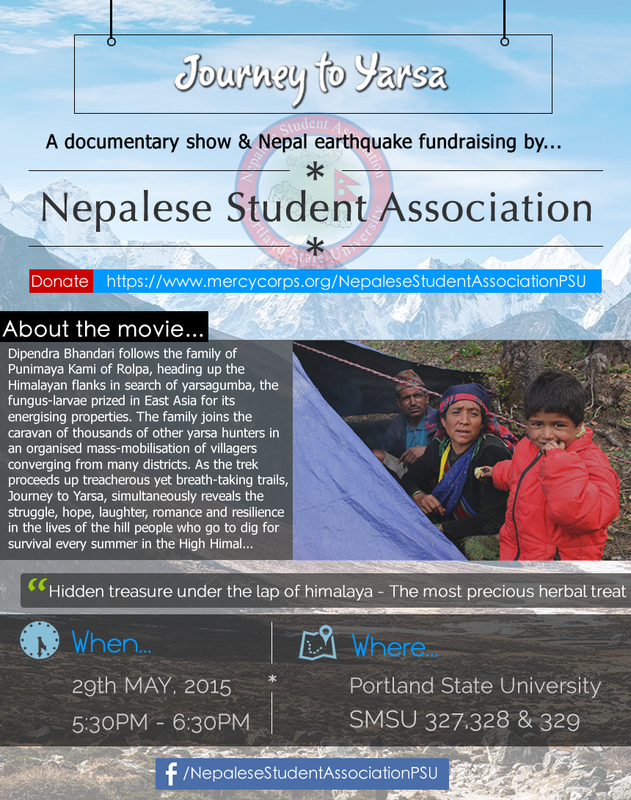 Please join the PSU community tomorrow night from 5:30 – 6:30 as they show a documentary to raise funds for Nepal. Thanks so much to the Nepali students at PSU for being so proactive in supporting earthquake stricken Nepal. This looks awesome.